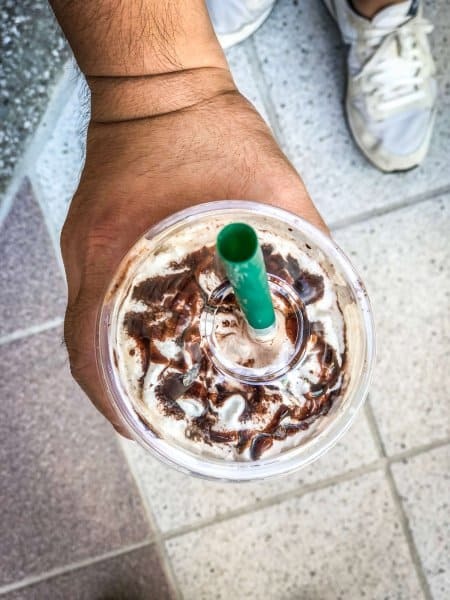 Starbucks Japan is well-known for its limited time frappuccinos available each month throughout the year. No matter when you decide to visit Japan, there’s always a new flavour to try. With each passing year, Halloween has become a staple of the fall season in Japan and at its theme parks such as Universal Studios Japan and Tokyo Disney Resort. It comes as no surprise that Starbucks Japan is taking this opportunity to offer food and merchandise. 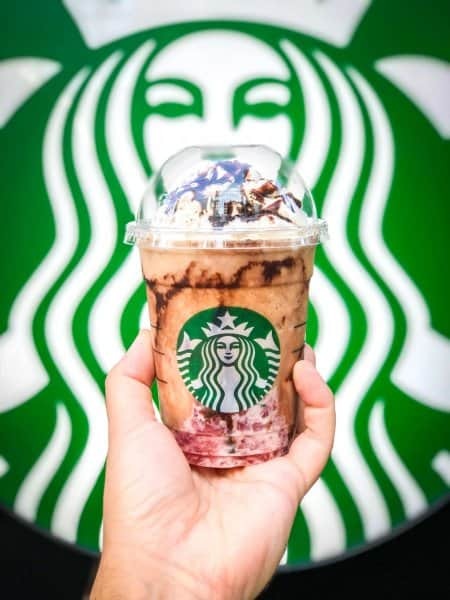 The newest frappuccinos were released on October 18, 2018, just in time for Halloween, and available until October 31, 2018, at all Starbucks locations in Japan. The Halloween Witch Dark Apple Chocolate & Halloween Princess Milk Sweet Apple frappuccinos. 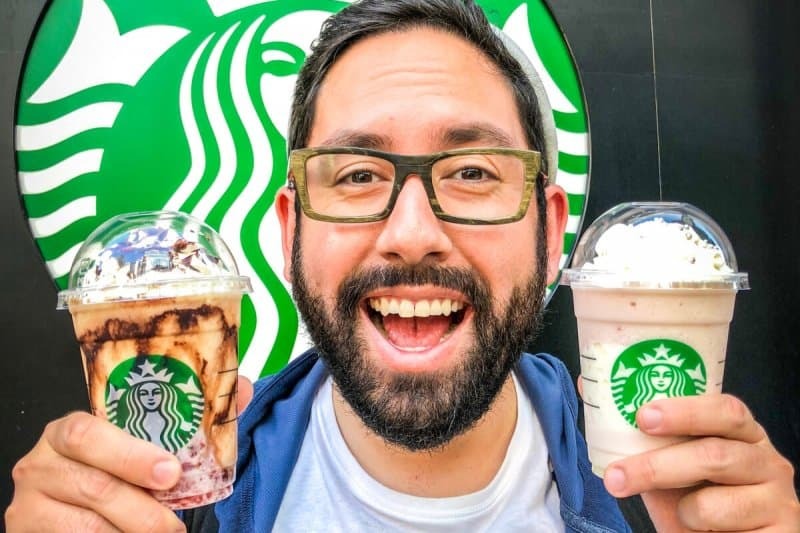 During my Saturday afternoon jaunt (I do eat things outside of Tokyo Disneyland), I stopped at my local Starbucks in Tokyo to try them and give you my review. I’ll tell you which one I think is worth spending money on. 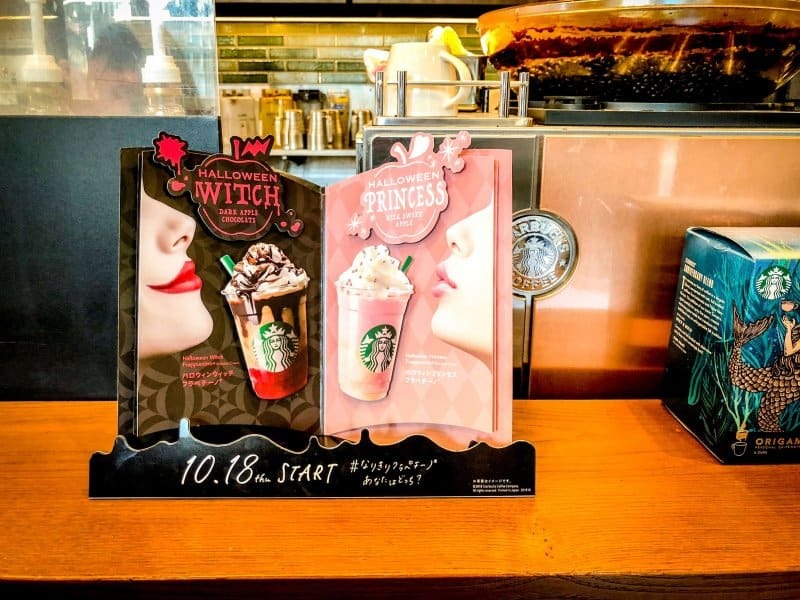 Alright, let’s get to the review of the Halloween Witch Dark Apple Chocolate & Halloween Princess Milk Sweet Apple frappuccinos from Starbucks Japan for ¥590 (tall size only). 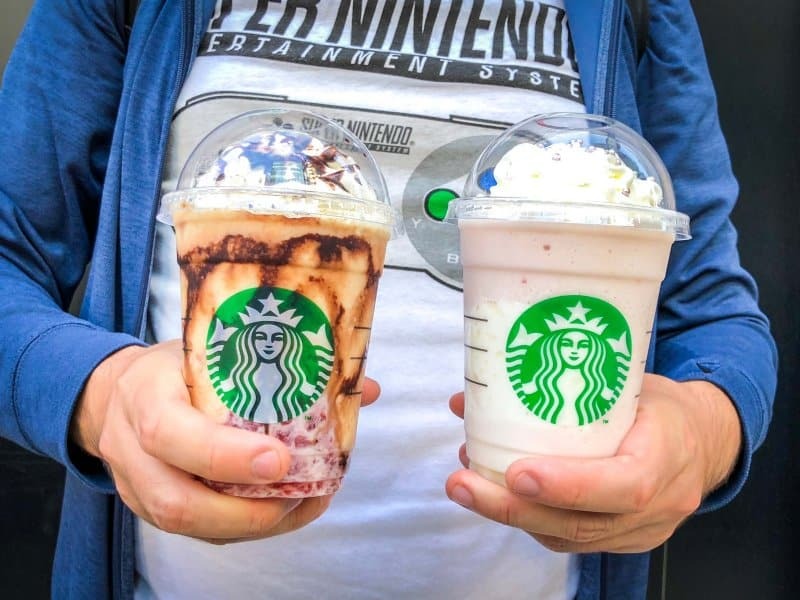 Protip: The popular Starbucks locations in tourist areas of Tokyo (Shibuya, Harajuku, Tokyo Disney Resort, etc) and Osaka (Universal Studios Japan, Dotonbori, etc) tend to sell out quickly. I recommend checking stores outside these areas to increase your chances of getting your hands on one. 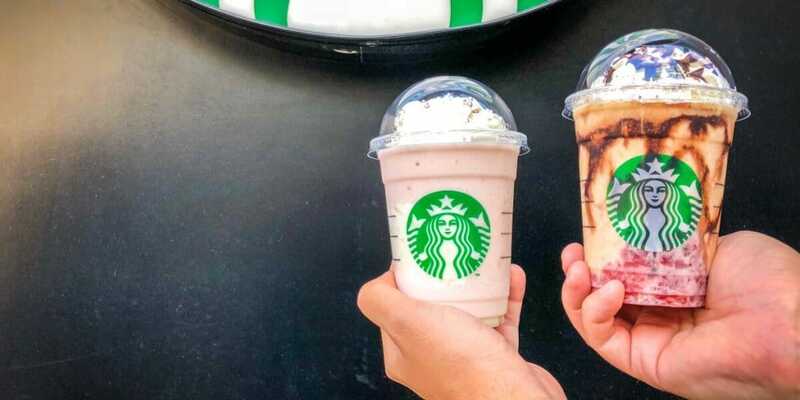 Out of the two, the Witch frappuccino is the most aesthetically pleasing with its mixture of red apple compote, blended caramel-flavoured cookie, topped off with whipped cream and drizzled chocolate sauce inside the cup and on top. The best part was the apple compote on the bottom, which also has small pieces of apple (you’re given a bigger straw compared to the Princess drink). The blended cookie flavour was overpowered by the apple and chocolate, so I couldn’t taste it too much. I’m a huge fan of anything with apples in it, so I didn’t mind. Overall it wasn’t too sweet and is ideal for those who don’t want something ridiculously sweet in flavour. 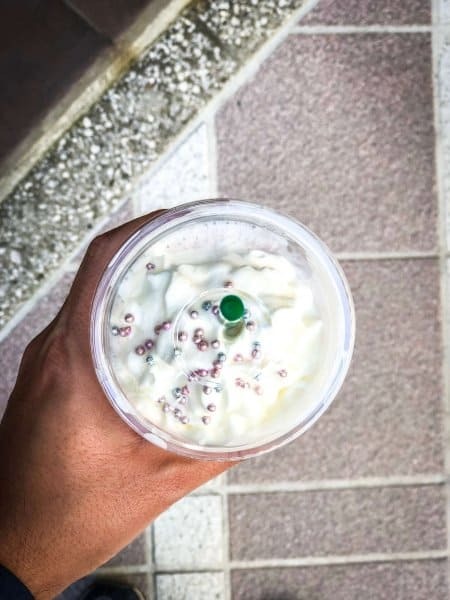 If chocolate & caramel aren’t your forte, then the Princess Milk Sweet Apple Frappuccino with white mocha sauce, apple compote, and topped off with whipped cream and sparkling pearls may be your thing. This screams “princess” with it’s pink aesthetic and sweet flavour. Unlike the Witch version, the apple compote doesn’t overpower the other flavours. 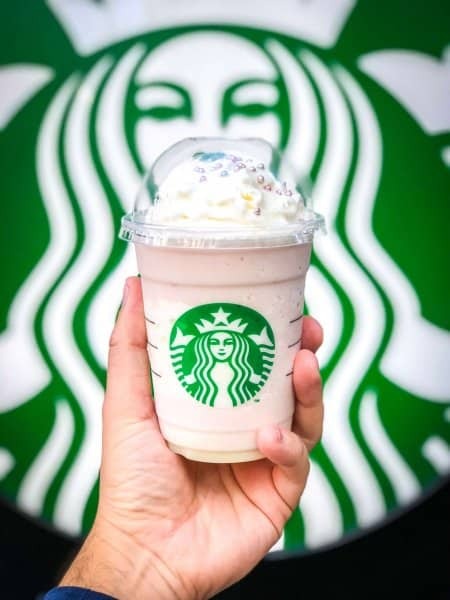 The mocha sauce creates a great compliment with the apple flavour and the whipped cream with pink and blue pearls round out this drink rather well. It’s much sweeter than the Witch version by far. Out of the two, the “Halloween Princess Milk Sweet Apple” is the winner in my eyes in terms of flavour. If I am having a frappuccino, I want it sweet. 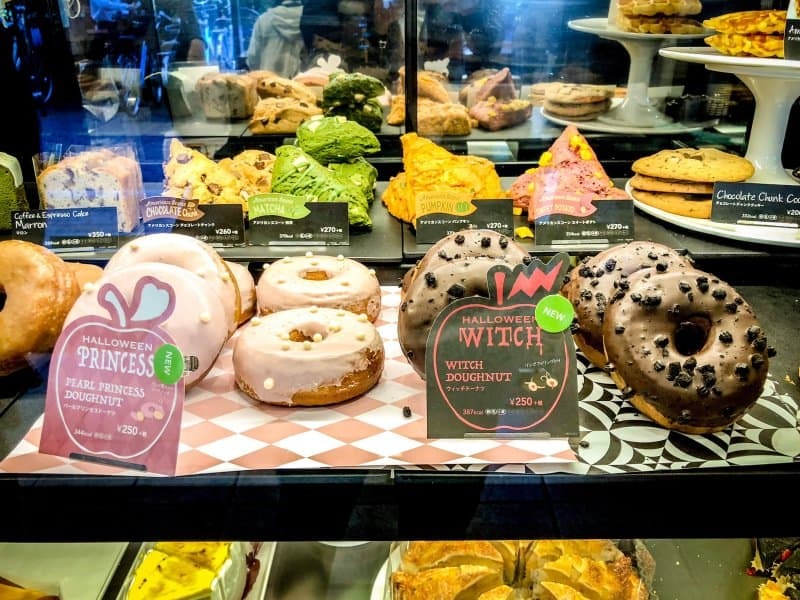 In terms of aesthetic, that award goes to “Halloween Witch Dark Apple Chocolate Frappuccino.” If you’re still having trouble deciding, then ask yourself, are you a witch or princess? You can guess which one I am, ha! Have you tried either of these drinks? Let me know in the comments! Also, don’t forget to check out Starbucks Japan locations for limited time Halloween merchandise and other seasonal treats.